Paul Nelson is a soil scientist/agronomist, with research and leadership experience in industry, government and tertiary sectors. His research focuses on land management in the tropics. He coordinates the Sustainable Tropical Agriculture Flagship of James Cook University’s Centre for Tropical Environmental and Sustainability. Since 2007 he has led research projects valued at over $7 million. 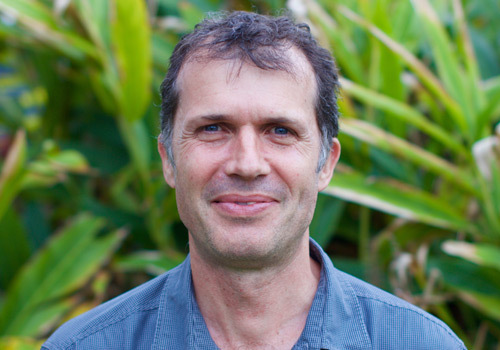 Paul’s research has focussed mostly on how natural processes and management influence the sustainability of tropical cropping systems, including soil quality, water quality, and greenhouse gas emissions. Prior to joining James Cook University, Paul led the Soil Science and Agronomy program of the Papua New Guinea Oil Palm Research Association. He has also worked with CSIRO, the Bureau of Sugar Experiment Stations, the Queensland Department of Natural Resources and Mines, the Australian Centre for Water Treatment and Water Quality Research, the French National Agricultural Research Institute (INRA) and the Swedish University of Agricultural Sciences.